When we say we wrote the book on the subject of running an efficient business, we really mean it. “Cash Machine” written by Dan Koger, Ph. D Greg Brower, Ed. D. focuses on three goals. “The 3-D Nature of Real World Problems” written by By G.A. 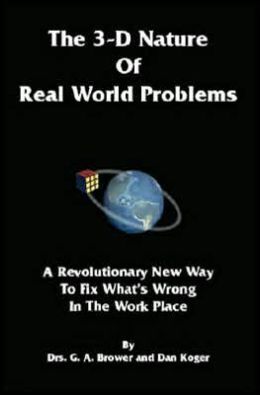 Brower guides businesses to a revolutionary new way to fix what’s wrong in the work place. Both books maybe purchased by clicking on the covers below.